Imagine a relaxing pine forest with a soft carpet of orange needles and gentle green boughs waving in the breeze. Wood ears grow on fallen logs, and little insects scurry around the ferns and the air is filled with the slightly spicy smell of pines. There are whistles, songs, and clicking squeaks–not unlike the chatter of squirrels and the familiar melodies of passerine birds, but when a chipmunk darts by, you realize that it is no chipmunk at all but a weird miniature running pheasant. Then a further shock comes when you see the miniature pheasant has teeth and claws—it is a tiny dinosaur! You are in a Cretaceous pine wood, and though, there may be primitive birds somewhere, the rustling all around you and the darting russet forms running through the undergrowth are little dinosaurs. Is that crashing noise coming towards you a larger predator? Paleontology lets us travel to the past and reconstruct such scenes with increasing accuracy. As we gain further fossil evidence and our grasp of zoology, biology, and genetics deepens, we can see further into this vanished world. However, sometimes a literal piece of the past falls directly into our hands. Look at this incredible piece of amber obtained in a market in China! In addition to beautiful yellow-orange amber and glistening air bubbles, there is a gorgeously preserved ant, some bits of bark & plant matter, and…some sort of weird feathered tail! This is not a recent piece of amber, either, it comes from an amber mine in northern Myanmar, but it really comes from a pine forest 99 million years ago in the Cretaceous: the world I described above. The tail seemed like the tail of a small bird, but CT scans revealed eight vertebrae from the middle or end of a long narrow tail which was not fused into a bird’s pygostyle (an anatomical feature which allows birds to move their tail feathers as a single unit like a fan). Scientists realized that the amber contains the feathers, skin, and soft tissue of a dinosaur—a juvenile coelurosaur—about the size of a sparrow. If one of these things got into the office and the office manager had to remove it, I suspect people would say there was a bird in the copy room. Yet it was definitely a dinosaur. The best preserved fossils of this sort of ecosystem come from East Asia—China, Mongolia, and Myanmar. Look at the hints of Chinese ink drawing which have found their way into the paleontological drawing of a coelurosaur below. As scientists unravel the secrets trapped in the amber, we will be learning a lot more about this particular dinosaur, but other wonders may lie ahead. Myanmar is emerging from isolation, civil wars, and turmoil to rejoin the community of nations. What else lies buried in that mine or others like it? Ferrebeekeeper tries not to portray the world in black and white…yet some important issues are black and white. Additionally, some important issues are unable to fly. In fact some important issues live only in the southernmost reaches of the southern hemisphere and are formidable ocean predators which hunt squid, shrimp, and fish. These issues establish strong pair bonds for a season and work together to raise a single nestling. Um…which is to say that today is World Penguin Day! Ferrebeekeeper proudly salutes our many friends from the order Sphenisciformes! Everybody is familiar with these endearing, beautiful birds. Yet looking at penguins more carefully reveals that they are less familiar (and more remarkable) than we think. In the media, penguins are always portrayed as debonair bon vivants who are trying to kill Batman, or as the sidekick of villainous ice wizards, or as weak-minded props for Jim Carrey to fart on. Needless to say, this does them a terrible injustice. Penguins diverged from other birds before the end-Cretaceous mass extinction. The first basal penguins were the contemporaries of dinosaurs and giant mosasaurs. For 70 million years the birds have evolved to simultaneously live in swirling freezing oceans and on profoundly inhospitable land environs like desert coasts and icebergs. Penguins look like sad little drunken gnomes when they are walking on the land (although walking on ice cliffs is no mean feat for any creature). Underwater, however, they look like next generation naval weaponry. They can turn and maneuver with preternatural speed. One of the most remarkable pieces of footage I have seen of any animal was an underwater reel of a Gentoo penguin hunting a school of shimmering pilchard type fish. With lightning speed, the school of fish changed to evade the bird. The school swelled into a ball and then elongated and then melted away into glistening tendrils. It formed gyres and broke into equal halves and used every advantage of the 3-d underwater habitat to get away. The fish moved faster than I could see and darted off in ways I could not anticipate or understand, but always the penguin was faster and more nimble. She out-thought the group mind of the fish. She was unfazed by their otherworldly dazzle and picked them off one after the next with relentless ballet-like grace (all while swimming underwater on a breath of air). I wish I could describe it properly (or just find the footage online). It was beautiful in an overwhelming and otherworldly way…so perfect it was scary. And it convinced me that penguins have a rightful place among the greatest predators–like lions, saltwater crocodiles, peregrine falcons, (although those creatures eat carrion or steal other animal’s dinners, whereas penguins are super predators who only eat live prey). There are 17-20 species of penguin, depending on which ornithologist you ask. Some dwell in temperate portions of Australia, New Zealand, Africa, and South America, but others are more familiar as the creatures of the extreme frozen south. Some of these march inland to the plains of Antartica where they spend the winter in nightmare cold and darkness. They are the only large animals to inhabit that frozen continent (unless you also count Norwegian scientists). The root of the word penguin is unknown. The word looks French, but it appeared in English and Dutch sources, before it appeared in French ones. Some linguists surmise that it came originally from the Welsh word for great auks which were the penguin analogue of the northern hemisphere. Great auks are forever gone from Earth…extinct since the mid nineteenth century (when they were hunted to death for their down and so their flesh could be used as fishbait). I bring up the sad stupid fate of the Great Auk for a reason. Penguin populations are plummeting. Usually humans kill off animals by hunting, industrial poisoning, or habitat destruction by means of development. Although it is true that the penguins which live in inhabited locations like Australia, New Zealand, and Africa, face pressure from housing development (or sometimes from oil spills like the poor guys in sweaters above). However the penguins in the southern oceans are facing threats from the planetary changes which the oceans are undergoing. So world penguin day is important and meaningful…but I’m not exactly sure what we need to do to help these ancient formally dressed predatory friends. Spring has come early this year and the beautiful tulip-like petals of New York City’s magnolia trees are already beginning to fall into great drifts of white and pink. If you stop and pick up one of the pretty petals from such a pile you will be surprised by the leathery resilience of the delicate-looking petals. 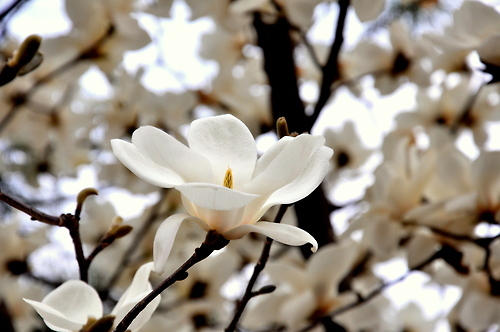 The durability of the petals of magnolia flowers is not coincidental—the flowers are different from other common flowering trees because Magnoliidae trees were among the first flowering trees to evolve. The earliest known fossils of such flowers date from the upper Cretaceous period around 130 million years ago. Magnoliidae petals are tough because they were originally meant to attract the attention of beetles rather than bees (which do not appear in the fossil record until 100 million years ago). 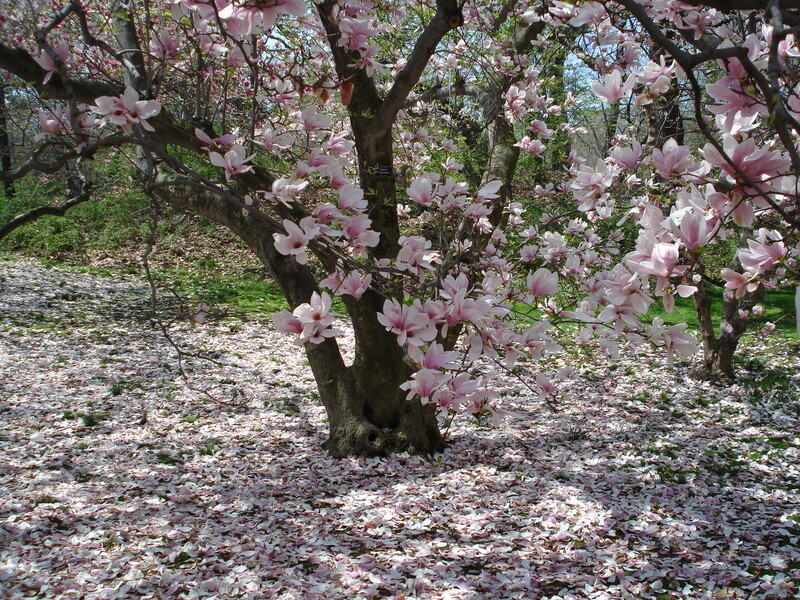 Since there were no insects specially adapted to live as pollinators when magnolia-like trees first appeared, the petals and reproductive structures of these first flowering trees had to be robust to survive attention from the hungry clumsy beetles (toughness which has passed on to the modern ornamental trees). By attracting the attention of animals (either through the colorful appearance and appealing scent of flowers, or by the edible nectar and fruit) flowering plants were better able to reproduce themselves. Magnolias spread around the temperate world and began the complicated interdependent relationship which all sorts of animals (including humans) have with flowering plants. Just kidding—aside from zoos and the pet trade, Ireland actually famously has no snakes. It is one the few snake-free large islands on Earth joined only by New Zealand, Iceland, Greenland, and Antarctica (well—everywhere far enough north or south is snake-free: the reptiles don’t really thrive in places where there is permafrost or truly cold winters). 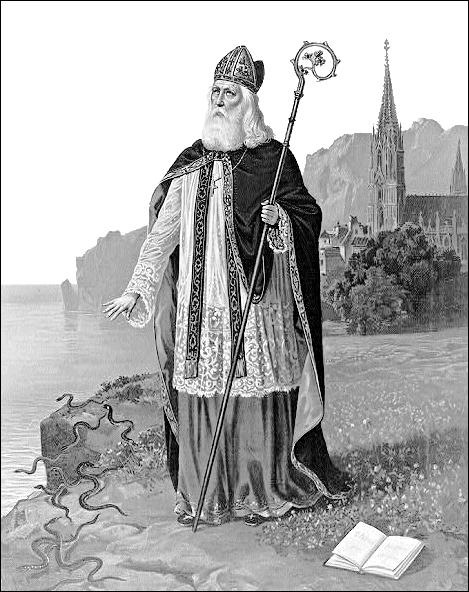 Legend has it that it was Saint Patrick who drove the snakes out of Ireland. Standing on a great hill he lifted up his crosier and focused divine energy upon the unlucky reptiles which then writhed en masse into the sea and never returned to the emerald island. "Ssseriously, why are you doing thisss?" 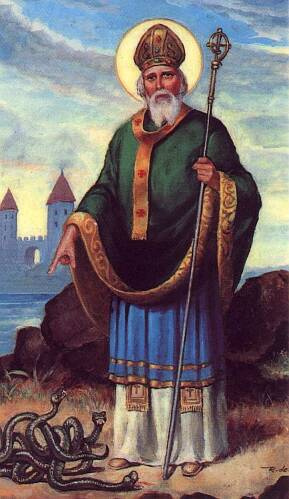 It has always been a bit unclear to me why Saint Patrick would do such a thing. Ecoystems which undergo such catastrophic changes tend to go haywire with great alacrity! Fortunately the story is entirely a myth. If snakes ever lived in Ireland (and it doesn’t seem like they did), they were long gone by the time the first Christians showed up. The real reason is even more interesting than the dramatic Moses-like power of Saint Patrick, but as with most actual answers it is also more complex. 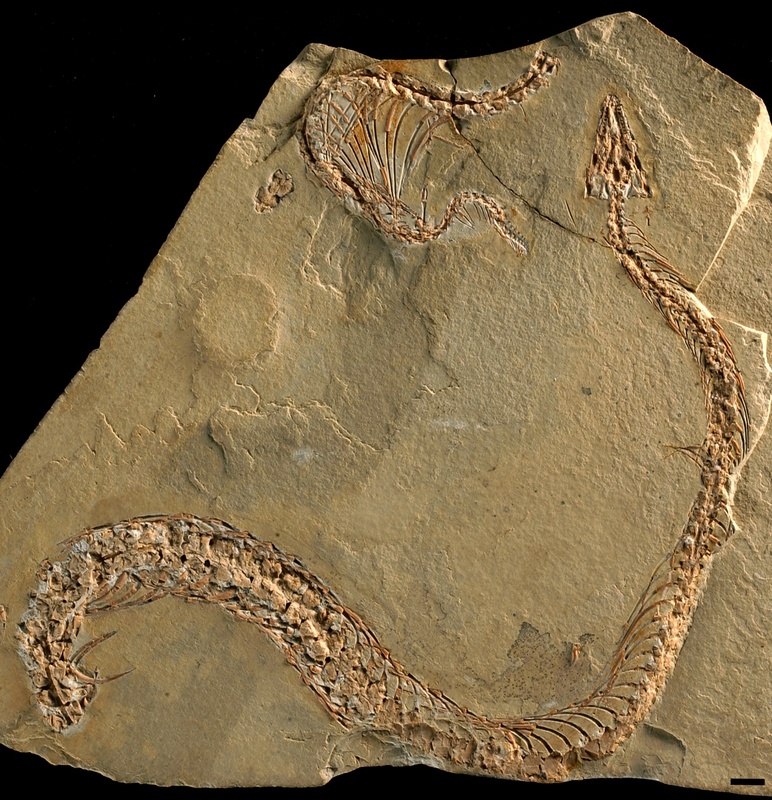 Evidence suggests that snakes evolved 130 million years ago during the Cretaceous. At the time Ireland was, um, underwater at the bottom of a warm chalky sea. Early snakes slithered their way across landbridges, rafted to islands on washed away logs, and swam (like the sea snakes) from island to island but, during the Mesozoic, there was no Ireland for them to go to. The most recent ice age began about three million years ago and continues into the present. Between warm periods like the current climate, glaciers have advanced and retreated more than 20 times, often completely blanketing Ireland with ice. Snakes, being cold-blooded animals, simply aren’t able to survive in areas where the ground is frozen year round. 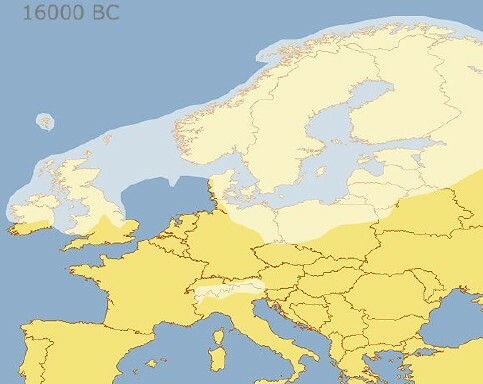 Ireland thawed out for the last time only 15,000 years ago. So Ireland remains snake-free because of the world’s temperamental geology. The island was underwater or covered by ice during certain eras when the snakes might have arrived–geography has conspired against serpents coming to Eire and setting up shop. The age of humans however has been marked by numerous introduced species cropping up everywhere. I wonder how long Ireland will be snake free when a pet shop accident or crazy hobbyist could unleash a plague of serpents on the green island. The fact that such a thing has yet to happen seems almost as miraculous as the original myth. 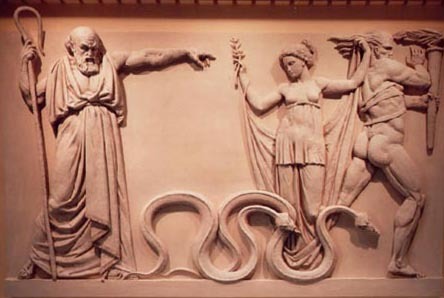 Although many people construe the whole story to be an allegory of Saint Patrick driving paganism and the old gods from Ireland (as seen here). This blog has already traveled back 400+ million years to the Ordovician, the era when great mollusks ruled earth’s oceans. The Ordovician ended in ice as Gondwanaland drifted into the Southern Polar regions—a tectonic shift which brought massive terminal cooling to the great reef systems of the time (and also fundamentally changed Earth’s climate and atmosphere), but the cephalopods were hardly done for. They continued to evolve and adapt to the world’s ever changing oceans. 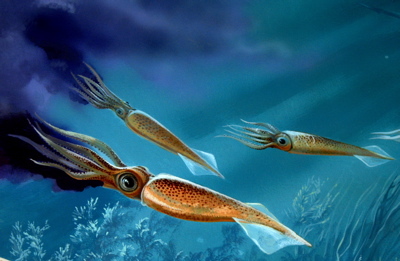 Today we pick up the cephalopod story hundreds of millions of years later during the Mesozoic era—the time of dinosaurs. The reefs and oceans of the Jurassic and Cretaceous were filled with nautiloid cephalopods—ram shelled descendants of the shelled tentacled monstrosities from the Ordovician—but a new cephalopod had also evolved and filled up the shallow limestone seas in giant teaming schools. 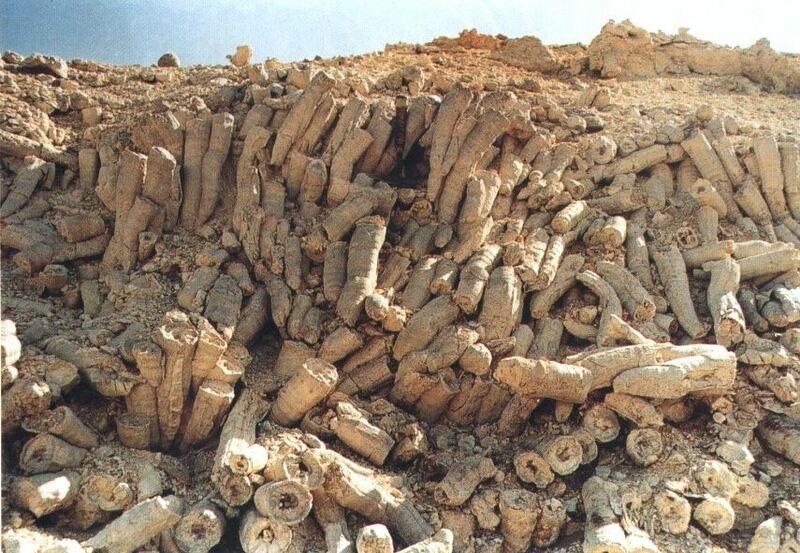 These were the belemnites which lacked an external shell and superficially resembled squid. Belemnites were distinct from today’s squids for several reasons. 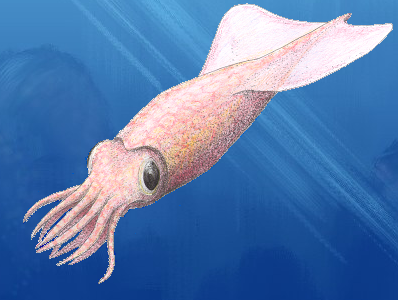 Not only did they possess hard internal shells/skeletons composed of calcium carbonate but they also lacked the pair of specialized hunting tentacles present in modern cuttlefish and squid. Instead the belemnites hunted with ten arms covered in tiny wicked hooks. 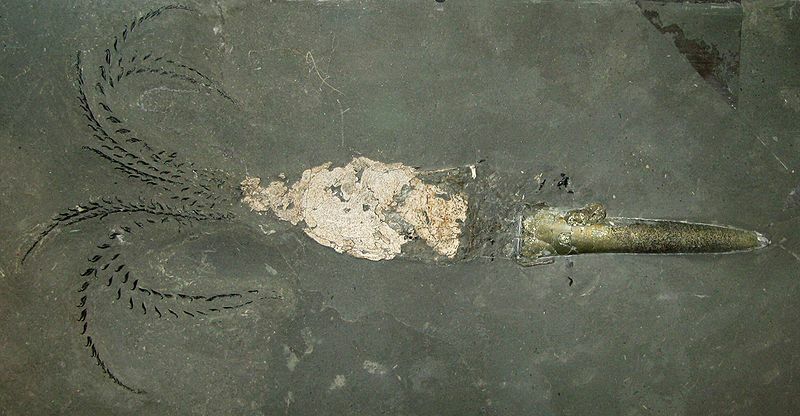 Belemnites fed on ostracods, crustaceans, and fish. In turn they made up a sizeable portion of diet for, well, the sizeable predators of the time. Fossils of plesiosaurs, pliosaurs, and giant sharks have been discovered with stomachs full of hooks or rostra. It is also thought that the dolphin-like ichthyosaurs survived largely on belemnites. 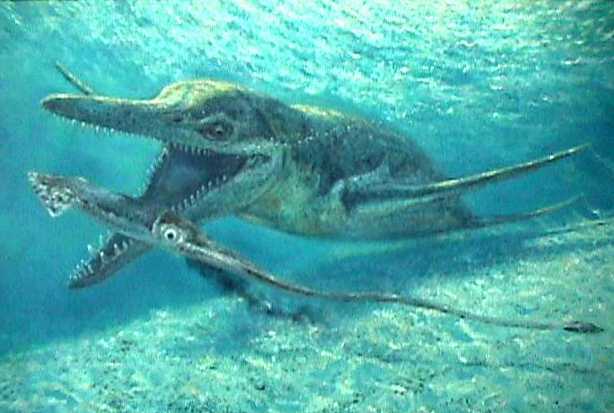 After feeding and digesting the mollusks, the ichthyosaurs probably vomited out the indigestible hooks and rostra of belemnites much in the manner that sperm whales expel the hooks of giant squid! The bullet shaped rostra of belemnites have survived in vast numbers and are one of the most characteristic of all Mesozoic fossils. These strange tapered cones weathered out of soft chalks nearly intact and proved extremely puzzling to people of past generations. Numerous magical common names and magical folk beliefs grew out of the conical rocks. The English called the fossils “thunderbolts” and believed they were the physical leftovers from lightning strikes. The ancient Scandinavians thought that belemnite rostra were candles dropped by gnomes, elves, and dwarves on the occasions they traveled from their realms through this world. 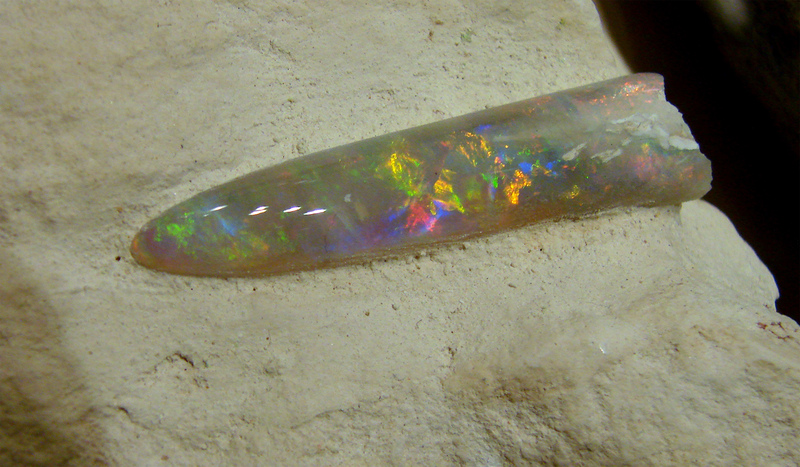 The ancient Chinese called them “sword stones” and believed they were imbued with ancient healing magic. The end of belemnites was even more astonishing than these myths. The creatures had short lives—which involved a larval phase drifting amidst the microscopic plankton. The immense extraterrestrial bolide which struck the Earth at the end of the Cretaceous ended the dinosaurs and also finished off the belemnites. The little larvae were unable to survive the massive planktonic die-off which accompanied the long dark winter following the strike. Fortunately other cephalopods proved hardier–and the most intelligent mollusks continued to change and adapt right up until today. When we think of living reefs we are likely to think of coral reefs, since the biotic reefs of today are most often composed of cnidarian corals (and coralline algae). Such has not always been the case –convergent evolution means that other animals have sometimes jumped in and taken over the central reef building role occupied today by corals (indeed there are still oyster reefs in some parts of the ocean although human hunger for oysters has greatly reduced their size). One of the more interesting and successful of these coral analogs was actually a modified colonial mollusk—the rudist. Rudists were bivalve mollusks very similar to the clams you enjoy on your linguini. Like clams, rudists had two shells (or valves) joined at a hinge. However the rudists possessed very different shapes from modern clams. 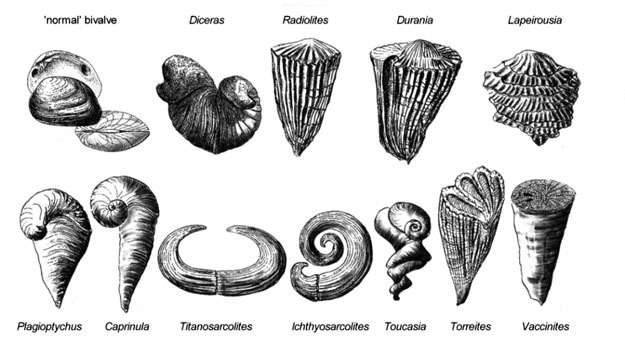 Some had horn-shaped shells which lay flat on the bottom of the ocean shore (the horns prevented currents from flipping the mollusks or washing them away). The other major group had cone-shapes with little hinged lids on top –like a cross between a lidded beer stein and an ice-cream cone). This latter group formed together in huge super colonies. 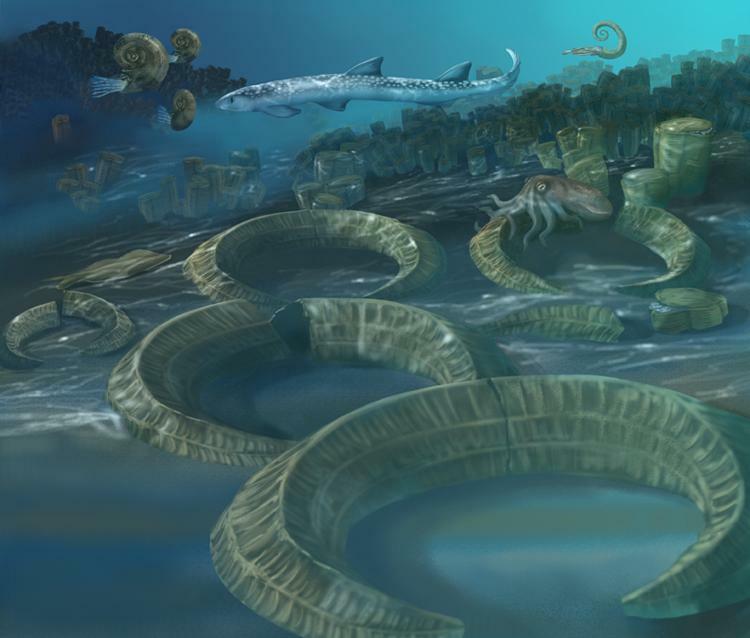 Rudists evolved in the Jurassic Era and burgeoned throughout the Mesozoic, but their greatest success came during the Cretaceous when they pushed out corals and sponges to become the major reef-building organisms in the Tethys Ocean and various other warm tropical shelves around the world. It is believed that rudists were so successful because the ocean’s temperature was so much higher during the Cretaceous (as was the salt content of the water). It must have been amazing to see a rudist tropical reef thronged with strange colorful belemnites, ammonites, and unknown teleosts. Huge prehistoric diving birds, mosasaurs, and super sharks would have lurked in the depths beside the reef. 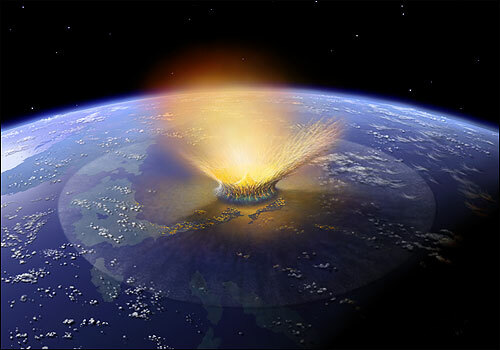 Like the dinosaurs and the ammonites, the rudists were wiped out by the Chicxulub impact. Sometimes I think about the rudists as I fret about coral die-offs. Coral quickly evolved back into the warm shallow tropical niche left open by the extinction of the rudists. Is there some little clam with a big destiny waiting for the corals to falter in the ever-warmer, ever-more-acidic oceans of the present? Ferrebeekeeper has an abiding interest in monotremes including both the poisonous platypus and the enigmatic echidnas (with their advanced frontal cortex). But sadly that is about it as far as it goes for the extant egg-laying mammals: there are only two living families of monotremes (with a scanty total of five species split between them). To learn more about these animals one must turn to paleontology. 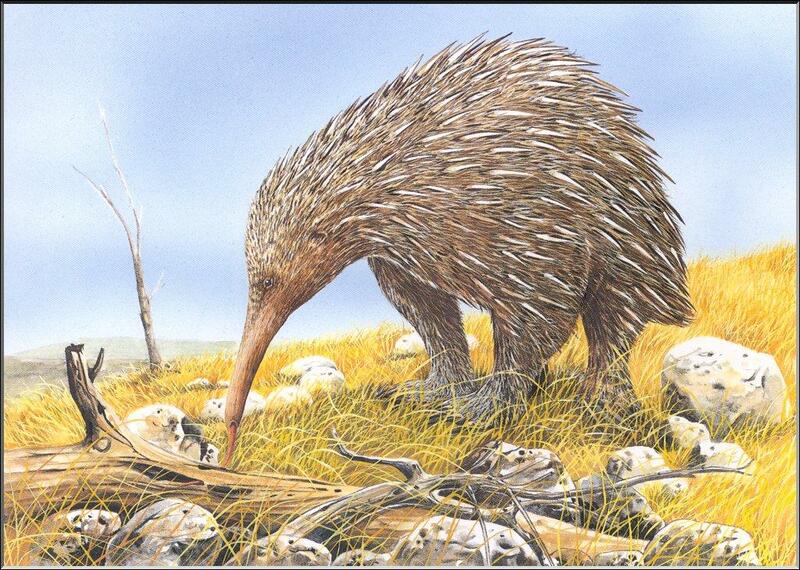 Unfortunately even in the fossil record, monotremes are extremely rare. Based on genetic evidence, biologists believe that the first monotremes made their advent in the history of life about 220 million years ago during the Triassic era; however the earliest known fossil monotreme so far discovered was a fossil jaw from the early Cretacious era about 120 million years ago. The bones belonged to Steropodon galmani, which seems to have been a beaked swimmer about 50 cm (20 inches) long which lived in Australia. 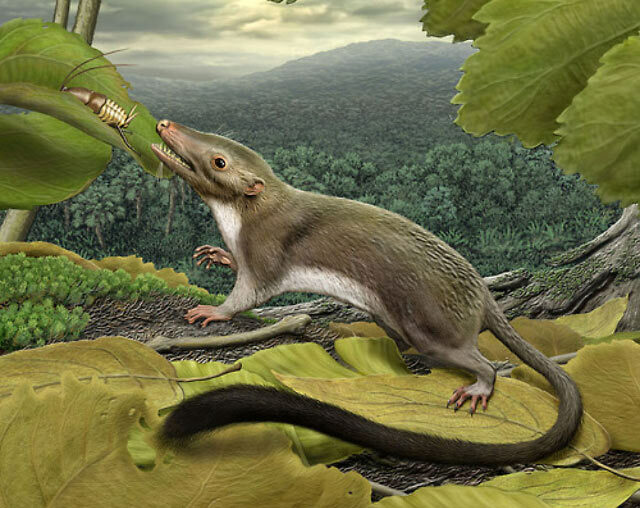 Steropodon was apparently a giant among Cretacious mammals–most of which seem to have been shrew-sized (so as to better avoid attention from their contemporaries, the dinosaurs). 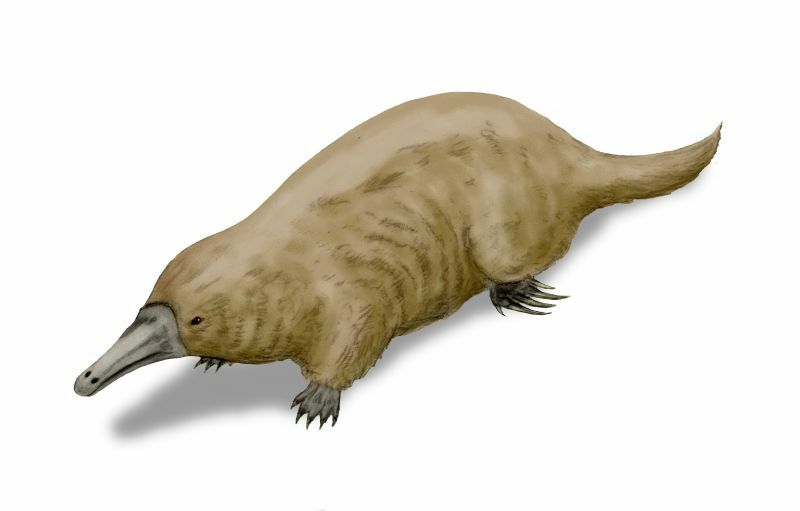 Reconstructions of Steropodon all seem to resemble the platypus, and most paleantologists would probably concede that it was a sort of platypus—as apparently were other Mesozoic fossil monotremes such as Kollikodon and Teinolophos (platypuses and these platypus-like forbears are called the Ornithorhynchida). During the Cretaceous era, the land which is now Australia was in the South Polar regions of the world (approximately where Antarctica is today). Although temperatures were much warmer during the Cretaceous, monotremes must still have been able to deal with terrible cold: it is believed that the extremely efficient temperature control and the deep hibernation mechanism which these animals continue to display first evolved during that time. 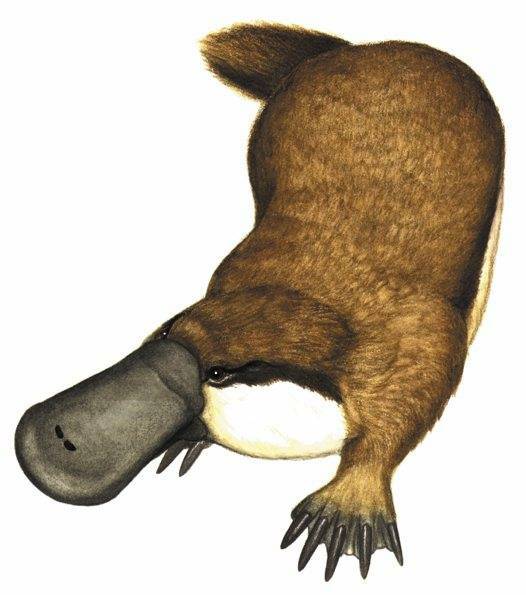 The only monotreme fossil which was not found in Australia was from another platypus-like creature named Monotrematus sudamericanum. The creature’s remains were found in a Patagonian rock formation from the Paleocene era (the era just after the fall of the dinosaurs). Monotremes probably flourished across South America and Antarctica, as well as on Australia, but evidence is still scarce. There are most likely many interesting monotreme fossils throughout Antarctica, but, for some reason, paleontologists have not yet discovered them. Additionally, unlike the marsupials (which still quietly flourish throughout South America), the poor monotremes were wiped out on that continent. Another artist's vision of Steropodon galmani--Notice how peeved the poor creature looks! Well, that’s a cursory history of the monotremes based on what we know. I wish I could tell you more but unfortunately there is no fossil evidence concerning the first half of the order. Sometimes I like to imagine the first monotremes—which were probably clunky, furry platypus-looking characters with an extra hint of iguana thrown in. These creatures fished in the alien rivers of the Triassic world in a time when dinosaurs and pterosaurs were also still evolving.